The Mid Atlantic Society of Orthodontists and its board of talented volunteer doctors remain dedicated to supporting and advocating for both our membership and our specialty. 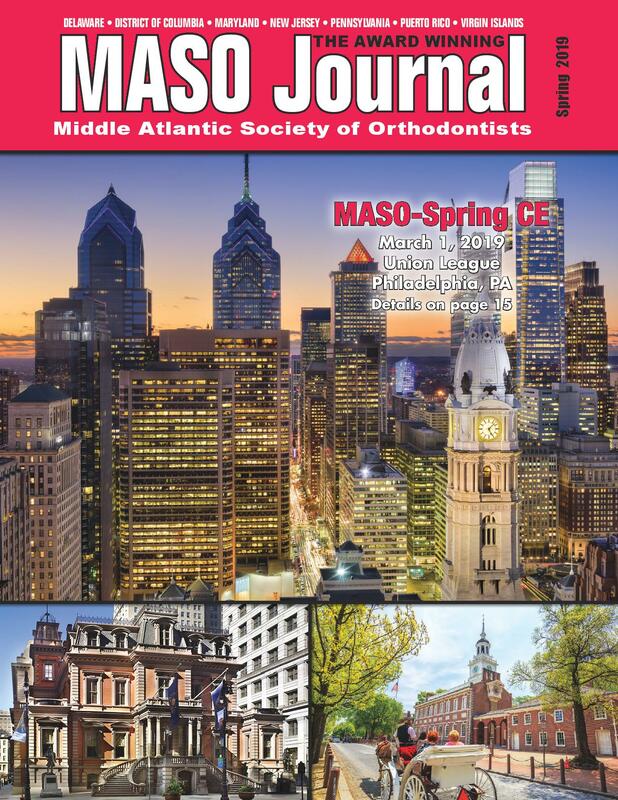 In continuing this proud tradition as President of MASO, I will briefly share my journey in orthodontic governance and finally my vision for the organization as we move into a rapidly changing and uncertain future. Over a decade ago, my participation in organized orthodontics began as the Mid Atlantic Society of Orthodontists’ representative on the AAO Council for New and Younger Members (CONYM). My interest in orthodontic advocacy was spawned there by learning how much we could change the practice lives of friends, colleagues, and myself. A few years on the Council had brought meaningful updates to the board certification process, ideas about minimizing student debt burden, and improving access to care. My role in orthodontic advocacy continued several years ago as President of the New Jersey Association of Orthodontists (NJAO). While serving on the NJAO board, we became a leading provider of donated orthodontic services, offered consistently top notch continuing education courses, and maintained a positive relationship with colleagues and neighboring groups. Now, as President of MASO – I can honestly say that I have participated in orthodontic advocacy and governance on all organizational levels. It is from that vantage point that I can candidly share that I have big shoes to fill. The Mid-Atlantic Society of Orthodontists has boasted a talented if brilliant leadership as far back as I can remember. It is a tradition proudly carried on by most recent President – Dr. Normand Boucher. I hope to continue MASO’s proud tradition of offering unparalleled continuing education, supporting the profession, and advocating for our specialty and membership.